Over time, floors in high-traffic areas like lobbies, hallways, and conference halls get dingy and stained. Make floor stripping part of your building maintenance with Howard Janitorial Services. Based in Athens, Georgia, our floor cleaning staff provides high-quality cleaning and refinishing services for offices, homes, and health care facilities. Learn more about our office cleaning solutions. Proper floor maintenance can increase the life of your tiles by years, in addition to creating a clean-looking and welcoming environment for clients and employees. Before you replace your worn-down flooring, let our specialists take a look to determine the best course of action to make the most of your current floor. In addition, make regular floor cleaning and maintenance part of your janitorial package, so you get the longest use from your current flooring materials. When stains set into floor tiles, most people assume it's time for replacement, but that's not always the case. Stripping and refinishing your floors removes stubborn stains and rejuvenates dingy flooring, adding longevity to tile you may have thought was beyond repair. 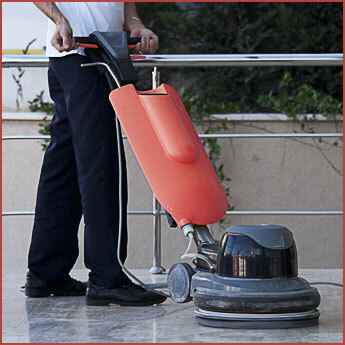 Contact Howard Janitorial Services to get a free estimate on your floor maintenance package.